Our biggest goal is to provide athletes with education for each age and to develop women’s rugby players who will compete at the world level in the future. 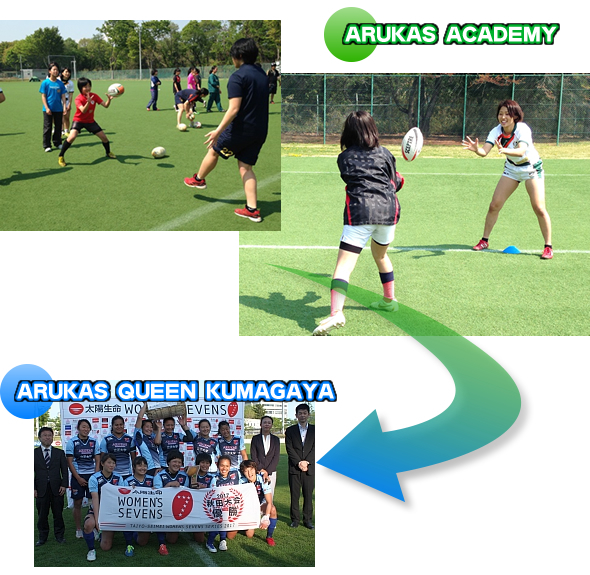 Coaches and Players who belong to ARUKAS QUEEN KUMAGAYA W.S.R.F.C will teach kids. We welcome people who have never played rugby before. Please feel free to contact us. Please fill in the following information apply from the contact form by the day before desired day of trail practice.